Similar to my kitchen stocking philosophy, I’m not one to pick-up every tool known to man. I don’t like to clutter my space with tools that have just one purpose. 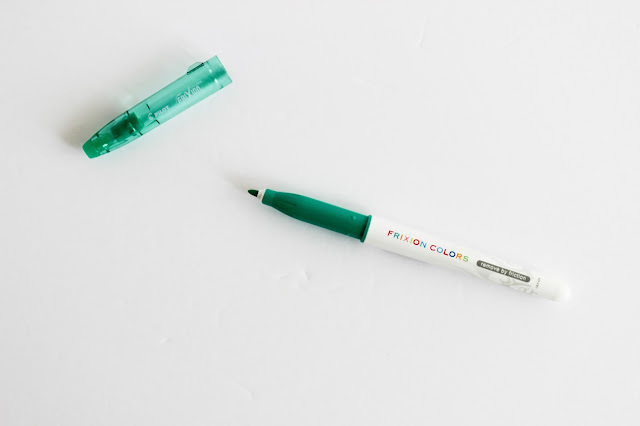 But over the years, I’ve come to realize that when it comes to sewing and quilting tools they really do make the difference. Rulers – now this is an area I am trying to show restraint in. It is so easy to pick-up a new ruler every time I start a new project…well quilting project in any case! I have now accumulated quite a few rulers, but my main go-to is a long straight edge ruler and a 12.5” square ruler which works wonders for squaring blocks. 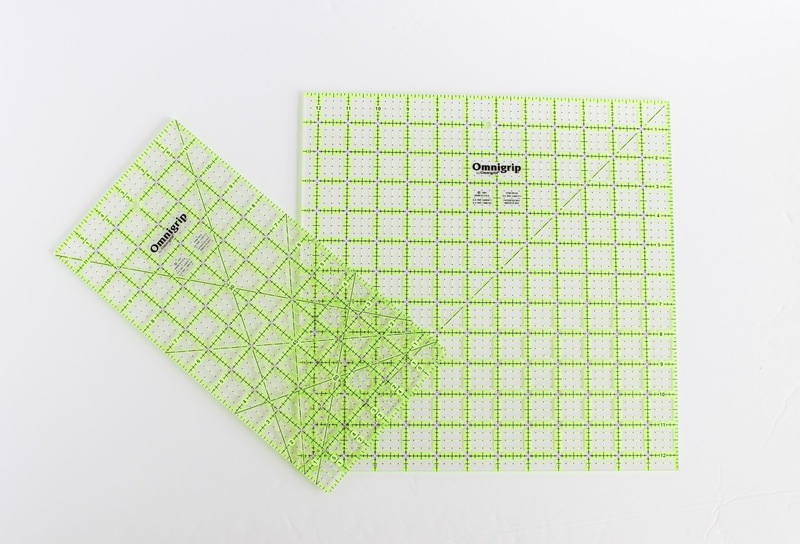 I am loving these new Omnigrip Non-Slip Quilter's rulers. They adhere to the fabric a little better making it easier to cut perfectly without the ruler slipping all over the place. 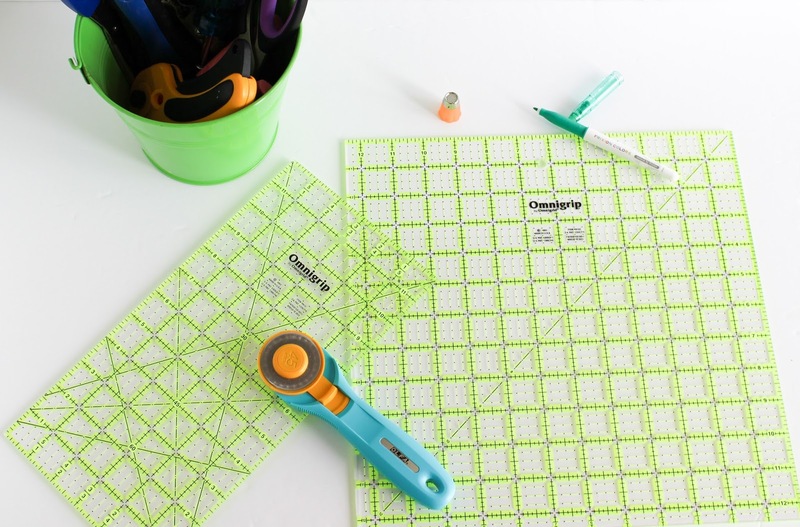 Rotary Cutter & Cutting Mat – I highly recommend not scrimping in this area. When I first started out I picked up a basic rotary cutter and cutting mat. Skip ahead several years and my mat is flaking and has serious gouges in the mat from my overzealous cutting habits. I'm currently on the hunt for a new cutting mat and will let you know what I decide on. 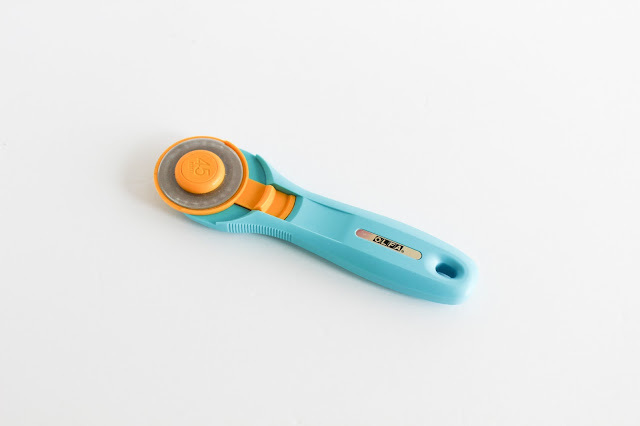 My cutting hand and arm went through a period of aches and pains – partly due to working with a non-ergonomic cutter. After testing several models, I’m currently loving the Olfa Splash 45mm Rotary Cutter. Just remember to close the safety – those suckers are sharp! 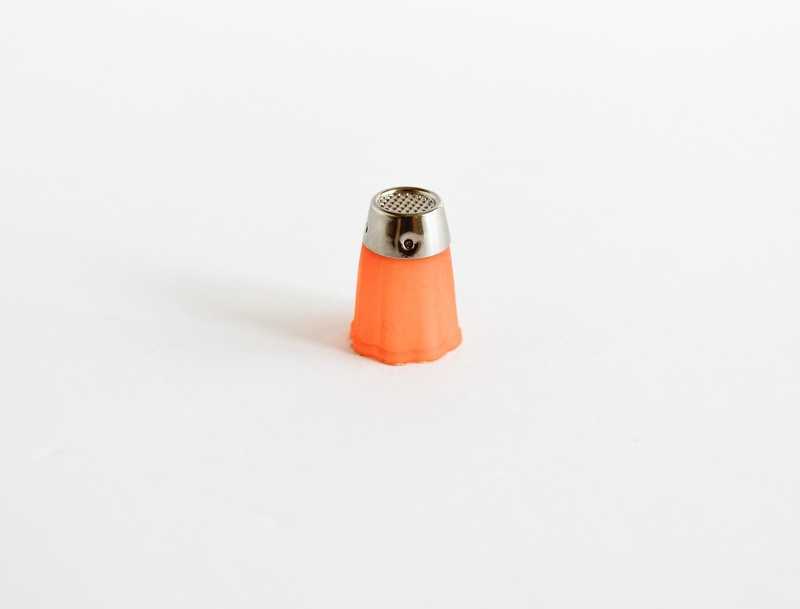 Flexible Thimble – I have the smallest hands. Finding gloves to fit is usually an ordeal. So you can imagine the pain I go through to find a thimble that fits properly. Clover to the rescue. I noticed a fellow member from the Modern Quilt Guild wearing one of these puppies and I was first intrigued by the colour (how could I not be! They come in vibrant orange, pink and yellow!). But the squishiness of the materials used is what really peaked my curiosity. Typically made of metal, this uses rubber for a flexible and snug fit. I gave it a go while attaching my first quilt binding and it worked wonders. 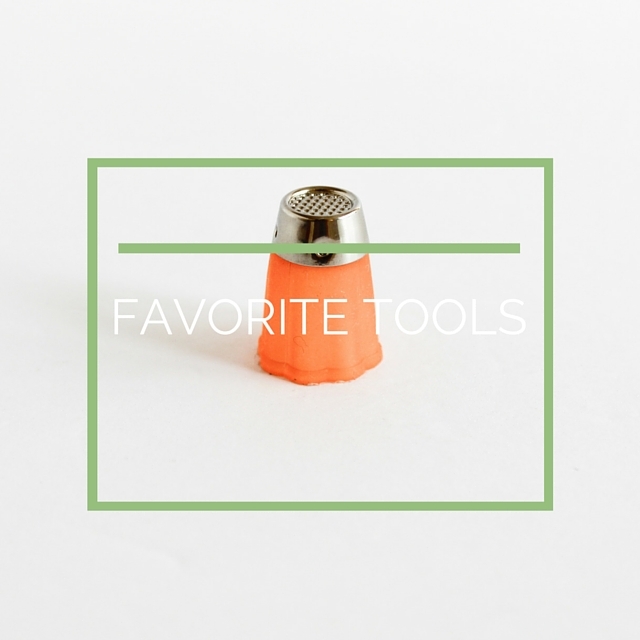 What are your go to tools that you can't live without?